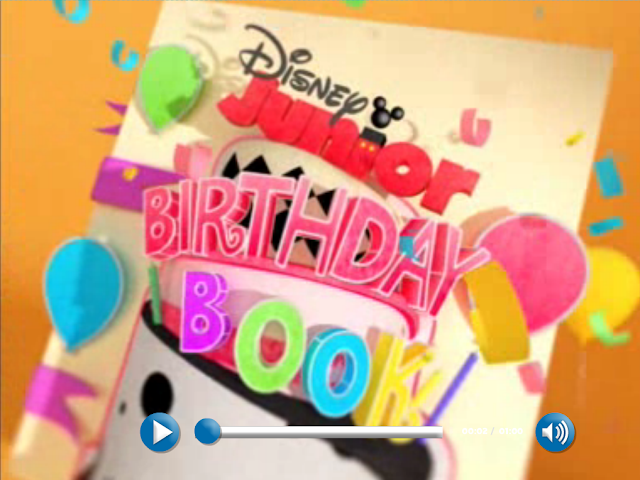 Rina's Rainbow: Disney Jr. Birthday Book! Yay! 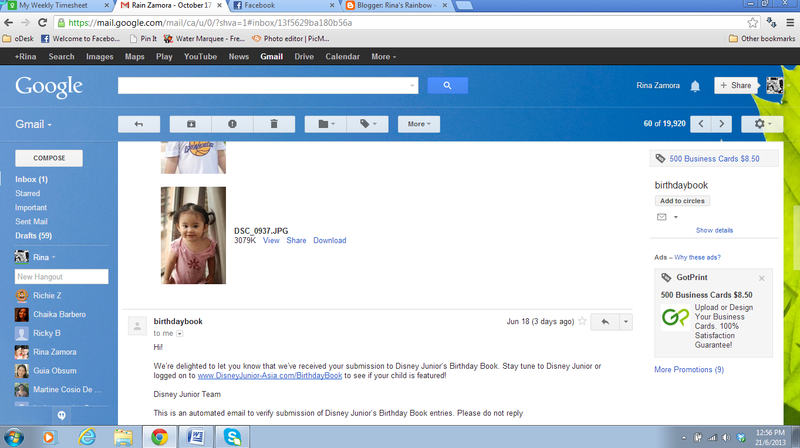 I have submitted Rain's picture to appear (hopefully) on the Disney Jr. Birthday Book! If you're a Disney Jr. mom (who isn't?) then you would know what I'm talking about. It's that happy birthday video played from time to time in Disney Jr. showing photos of little kiddos who are celebrating their birthdays for the month. I love the song too! So snappy! "Today's a big day that comes once a year, it's your birthday!...." I always clap to the beat every time! If you want to submit your little one's photo too, then you better get crackin'! Your child needs to be between 2-7 years old. (Sadly I can't submit my own photo too for my birthday. Oh well). Photos need to be emailed 2 months before your kid's birthday month. They require 2 high resolution photos (minimum file size of 1MB and should be in full color). They also require your Disney Jr. subscription number. Our current cable provider is SkyCable and I couldn't see any subscription number beside the Disney Jr. item on our bill so I just sent them a copy, highlighting the "Disney Jr." item. I hope that will do. It should. Because that's our exact cable bill. Email the above requirements on BirthdayBook@DisneyJunior-Asia.com and you will receive an automated response to confirm they have received your entry. So excited! I really hope she makes the cut on the October Birthday Book!!! That would be so cool!!!! :-) Here's a sample of the video below! is subscription number same as the account number found in the monthly bill?